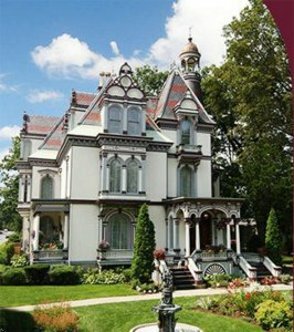 The Batcheller Mansion Inn, known as the Jewel of Saratoga, is a small upscle inn in the heart of downtown Saratoga Springs, within walking distance of Saratoga shopping, dining and entertainment. The Batcheller Mansion Inn is minutes away from the Saratoga Flat Race Course and the Saratoga Gaming and Racing facility. We feature old world elegance that makes any traveler feel at home, while offering many of the modern conveniences hotels offer. The Batcheller Mansion Inn also holds a history behind each door and has an authenticity that can not be replicated. The Batcheller Mansion Inn was the first private residence patented in the US.